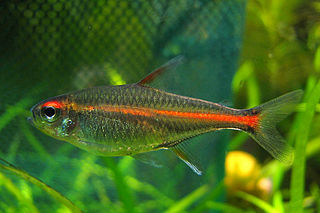 Hemigrammus erythrozonus common name glow light tetra. They grow up to 5 cm / 2 inches. They live in water parameters of PH range 6.0-7.5, and temperatures of 22-25 Celsius / 72-77 °F. 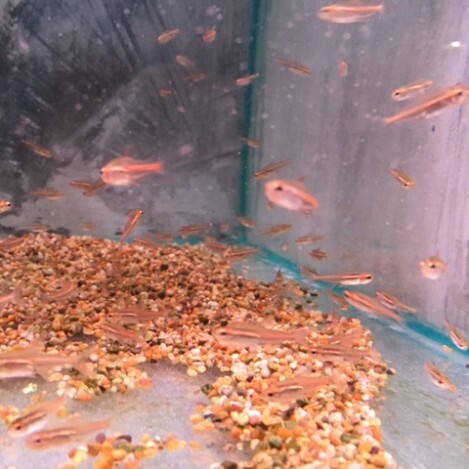 The glow light is an extremely peaceful tetra, they can mix with any small community fish. They are better in groups as on there own they can be shy, and hide a lot. 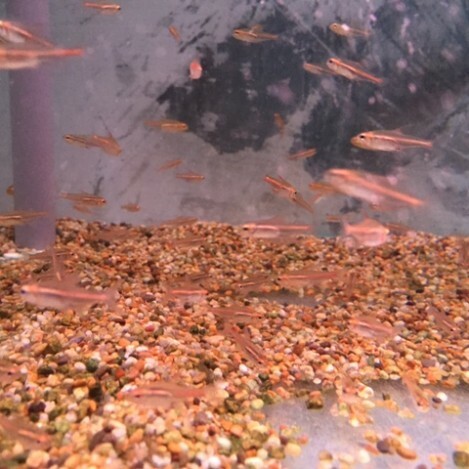 They are a greedy tetra so will eat any food you put in the tank for them. Food like flake, mini pellets, and granular is good for them, also a treat of freeze dried, frozen or live foods.